[By Nick] I have a confession to make: I have never been to a TCBY. Sure I've been to various soft serve froyo places but I've never tried the self-proclaimed country’s best yogurt. Don't get me wrong, I have nothing against TCBY. It's just that up until recently, there hasn't been a TCBY even remotely close to me. I still haven't visited this new store but I've noticed that their products are showing up more and more in the freezer aisle. Seeing as how I should at least give them a shot, I decided to pick up a pint of their cookie dough frozen yogurt. Okay, right off the bat I’m already bugged by the packaging. The front of the pint advertises that there’s only 130 calories per serving but if you look at the actually nutrition panel you see that there’s actually 140 calories per serving. I know 10 calories isn’t that big of a difference but is it really that hard to match what’s being promoted with what it really is? I don’t think seeing 140 calories per serving on the front is going to be a turn off factor for anyone. Okay, that mini rant is over, now it's time to get to what you guys truly want to read about. Opening up the pint, I’m greeted with a nice sized chunk of cookie dough almost dead center in the container. I also spot a couple of chocolate chips peeking through the surface. From a visual standpoint, we’re off to a good start. Digging in, that trend just seemed to continue. 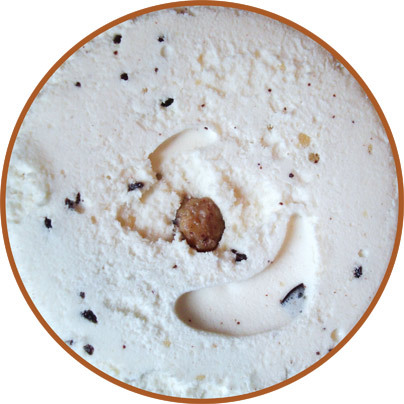 The cookie dough pieces are big and liberally spread throughout the pint. They’re nice and chewy with a bit of grittiness to them. They bring all the qualities you’d expect out of your standard cookie dough mix in. They’re buttery with a hint of brown sugar notes in the background. You’d be hard pressed not to run into one of them in every other spoonful. This isn’t all that surprising seeing as they are the 4th ingredient listed after skim milk, sugar and cream. The chocolate chips/chunks add a nice break up in texture as well as some much needed bitterness. They complement the sweetness of the cookie dough and are also as liberally distributed. Now on to the base, it’s nice and creamy without the iciness that often comes with frozen yogurt. It’s actually very light and is reminiscent of soft serve with some of your standard hard ice cream characteristics. It’s as if they took Breyer's ice cream and mixed it with some soft serve. I don’t know if I’ve been spoiled with companies flavoring the base like Turkey Hill or Blue Bunny but I’m just not feeling the vanilla flavor. Sure it’s non offensive and a solid vanilla but a flavored base would’ve easily taken this flavor to a whole new level. Still for my first venture into a TCBY product I’m glad to say I really enjoyed this flavor even if it was just standard cookie dough. Verdict? A good introduction into the country’s “best” yogurt. Buy Again? I can’t say I’d buy this exact pint again but I’d definitely give their other varieties a shot. Oh man, I remember going to TCBY and getting those massive parfaits. It was such much fun to sit on the high stools and look out the window while enjoying. No idea where the nearest one by me is now, its been a long time! You should stop by yours and grab a parfait. I dont know if they still make them, but I wouldn't see why not. Looking over their website, they still do make parfaits. I'll have to remember to get one when I finally check out the place. Any flavor/combination suggestions? Ok, this is a huge coincidence. I was going to ask you to review one of TCBY's new flavors because you haven't yet and because I also purchased a flavor from them tonight - Supreme Cookies and Cream - and wanted to see if I should have stuck with my favorite, B&J, instead. It's a strange world! 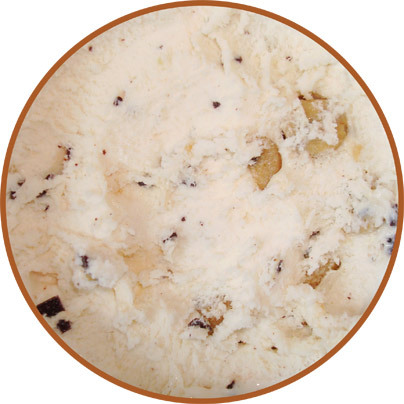 I don't think it'll compare to B&J's milk and cookies but be sure to let us know what you think about it! is this flavor in the supermarkets? If so, where did you find it? Thanks. Ok, so, TCBY's Supreme Cookies and Cream was absolutely amazing! It is the best cookies and cream ice cream ever because it not had looked like a DQ Oreo blizzard but it also tasted exactly like an Oreo DQ blizzard, and most of us know that DQ's #1 selling blizzard flavor is their Oreo blizzard, so I am exulting this flavor and highly praising TCBY by using such strong language. Nick, if you know me then you know that I love B&J's and that I brag about them a lot on this site about being the best in the ice cream business but I do admit, shamefully so, that I have not yet tried Milk & Cookies. So I cannot compare, unfortunately. I found this at a Walmart Supercenter but I have seen them in Hannaford which I believe is also called Food Lion in different parts of the country. When I read the first paragraph I thought you had already tried B&J's version and I was a bit in awe thinking that a froyo could dethrone that flavor. I've never had an oreo blizzard(no dq's near me)so all I have for that kind of experience would be the mcflurry version. Still with such praise, I think I'll be picking this one up next. Thanks for the feedback! Aha it's all good. We all have our own taste preferences so I take no offense to that. I doubt you're the only one who has disagreed with some of my reviews. 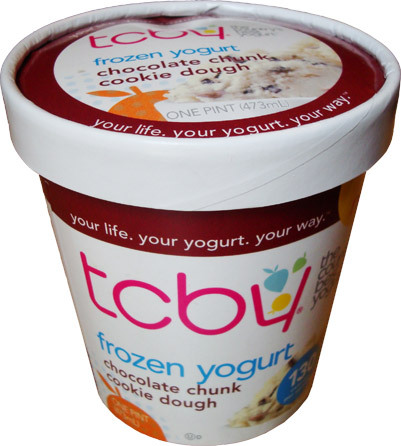 I have always loved TCBY and found the in store yogurt at Winn Dixie. I tried Mint chocolate chip and love it!!! The cookies and cream not so much. Happy to have it in stores, but would love to see my all time favorite White chocolate mousse. @Anon, I'd love to see more white chocolate flavors in the ice cream isle.